Salute to the working class of Turkey! Salute to those who toil to produce! Throughout the 1970s, DİSK assumed a leading role in the struggle of Turkey’s working class and the defense of democracy and freedoms. 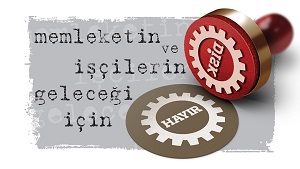 During this era, unions operating under the aegis of DİSK improved the life and working conditions of the working class with their collective bargaining agreements and enabled workers to find their voice in their workplaces and in society while forcing oppression to retreat on all fronts. After decades of struggle, DİSK succeeded in ending the prohibitions against May Day, facilitating the free celebration of 1 May, the Day of the International Unity, Struggle and Solidarity of the Working Class. Following the end of the prohibitions, hundreds of thousands of workers descended on Istanbul’s Taksim Square to celebrate May Day. DİSK has resisted against all manners of attacks against the enemies of democracy and workers, paying a high price for its struggle. Its buildings have been attacked, its events have been fired upon, and a number of its members, including Founding Chair Kemal Türkler, have been murdered. Following the fascist coup of 12 September 1980, DİSK’s activities were halted; in the subsequent years, hundreds of its members were thrown into prison, subjected to heavy torture and made to face the death penalty. During this time, Kenan Budak, the chair of İlerici Deri-İş, a leather workers’ union that is part of DİSK, was murdered. 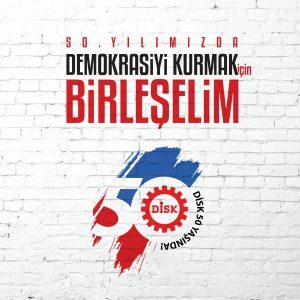 During the 11 years in which DİSK was forced to remain closed, a large number of DİSK members were forced by the state and employers to join other unions. After an 11-year legal struggle against the violations of its rights, DİSK succeeded in overturning the prohibitions against its closure, but it was never permitted to reacquire a large amount of its membership and property. Armed with the lessons of the past and the support of the working class, DİSK began its activities once more in 1991 with great enthusiasm. Boasting 22 unions in different fields and close to 200,000 total members, DİSK is today the representative of Turkey’s working class, the spokesperson of the struggle for democracy and freedom and the principle actor of the peace movement. DİSK’s main focus lies in implementing ILO regulations, ceasing workplace deaths, ensuring the adoption of a minimum wage that respects human dignity, fostering an atmosphere of peace at home and in the region and guaranteeing freedom of speech and the freedom to organize. The confederation is well-aware that the rights, benefits and freedoms of the working class can only develop in a true democratic atmosphere that is based on social and libertarian foundations. DİSK strives to eliminate all repression and tyranny directed at the working class and all other oppressed groups. As an honorary duty, it also struggles against war, fascism, dictatorship and the destruction of nature in the name of the working class. DİSK is the common organization of struggle and solidarity of all workers, regardless of religion, language, nationality, gender or political viewpoint. The confederation is guided by the principles that in all union activities, the grassroots possesses the right to speak and make decisions. 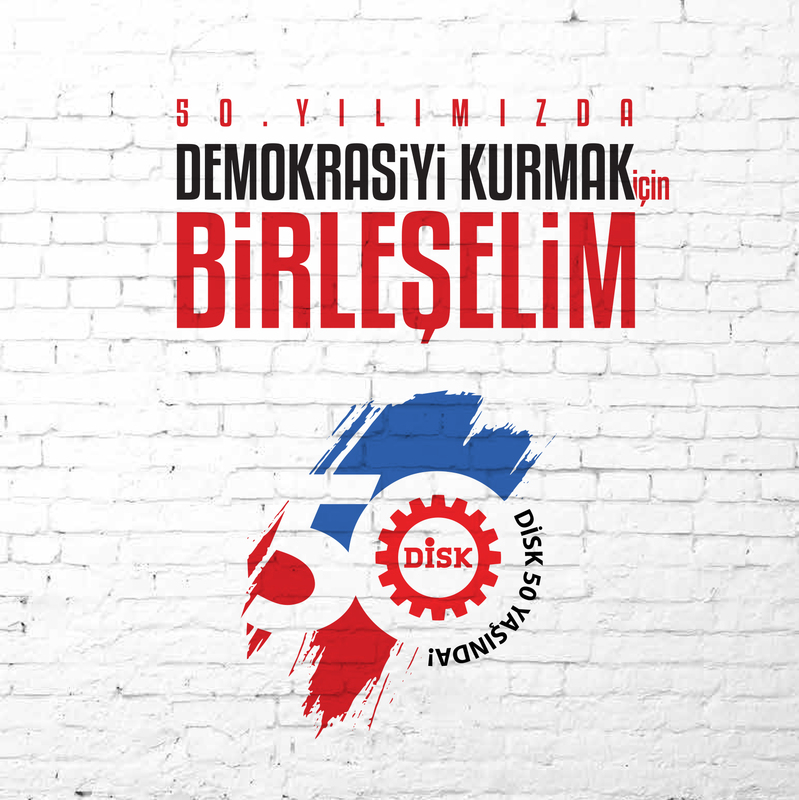 DİSK, which has attached the utmost importance to the working class’ international solidarity and struggle since the confederation’s establishment, is a member of the European Trade Union Confederation (ETUC) and the International Trade Union Confederation (ITUC).